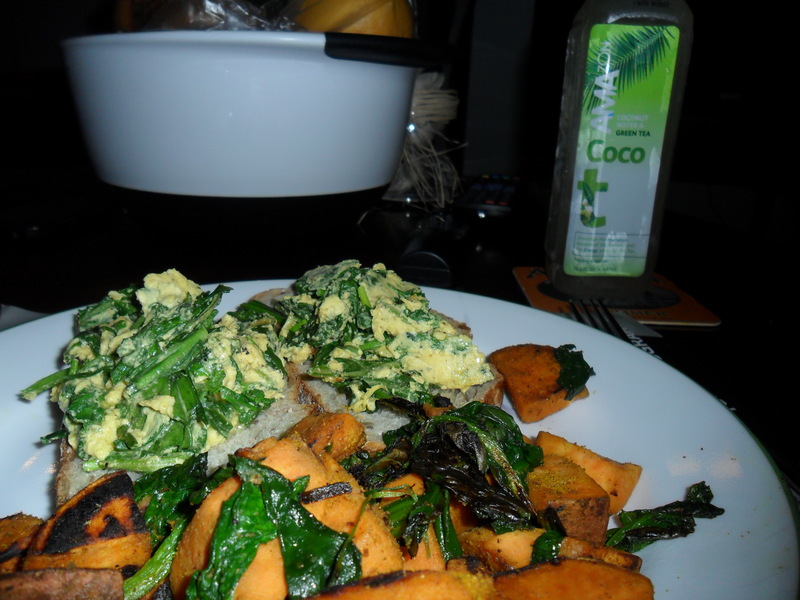 Tonight’s Dinner is Brought to you by … ARUGULA! So I got a bunch of arugula in my produce delivery last week and I was really excited about it because I LOVE arugula. It smells so good and as far as lettuces go it has the most interesting taste to me. I think my favorite salad would be an arugula salad with strawberries, pecans or walnuts, and goat cheese… AMAZING. Problem was that I got my produce delivery on Friday and then promptly peaced out to Pittsburgh for the weekend with my friends. I was in a rush to leave so I just threw everything into the refrigerator and ran out the door. By the time I got back, my arugula was really wilted. It hadn’t gone bad, but it definitely wasn’t going to stand up in a salad. 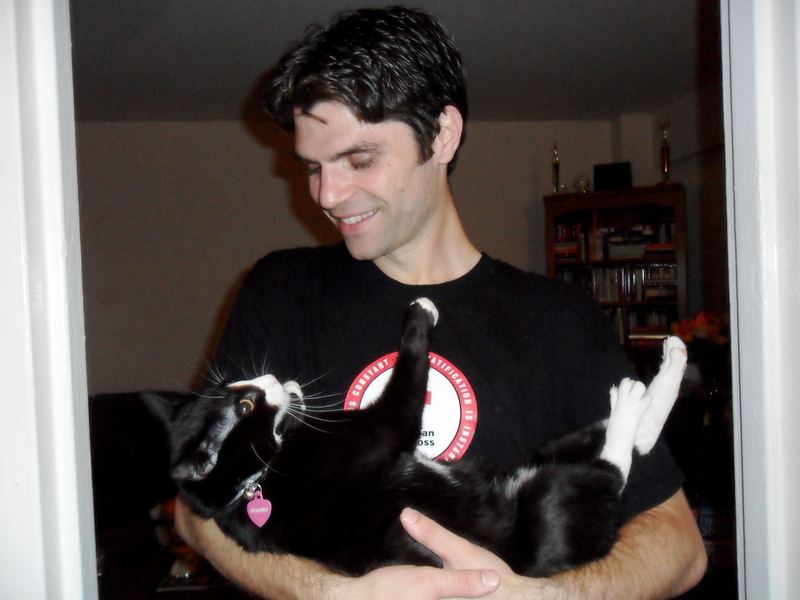 Then I tried to think of things that I cook using arugula, and I was totally stumped. I’ve never had it cooked before! When I was deciding what to make for dinner for Mike and I last night, I stumbled upon this amazing recipe from The Kitchn for Egg, Arugula, and Herb Tartines . When I told Mike what I planned to make he asked the obvious question… what is a tartine? Don’t be alarmed, it’s just a fancy word for open faced sandwich. I used extra chives because I had them leftover from my chive / squash pancakes, and I did not use butter to cook the arugula / herbs. I used some SmartBalance spray to coat the pan and that was all. 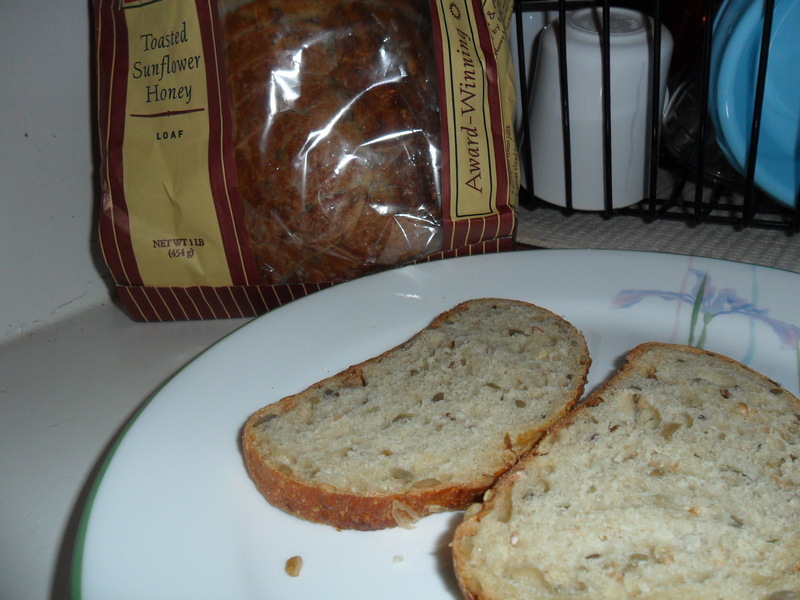 I used toasted sunflower honey bread from Harris Teeter which is DELICIOUS. Any good quality, hearty bread will do though! To complement the egg tartines, I thought I would make a potato dish to make it a classy version of eggs and homefries for dinner. 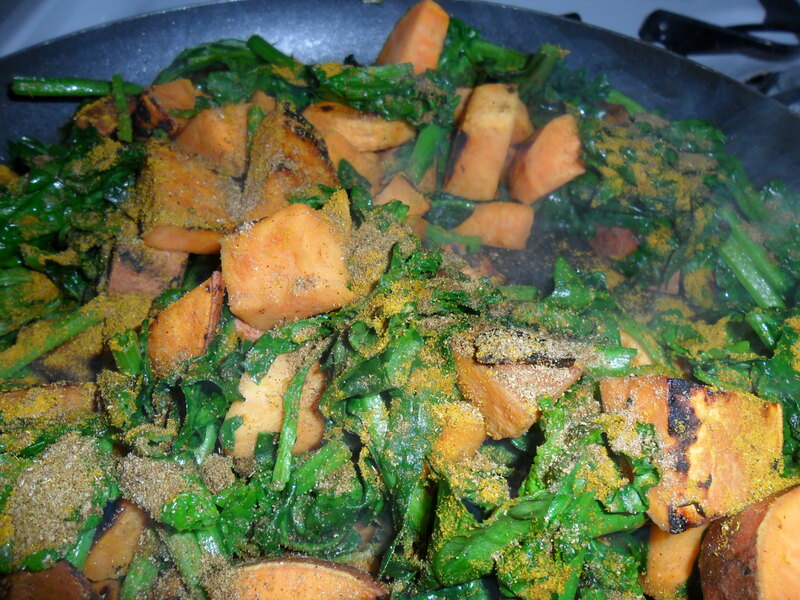 I had several sweet potatoes and a bunch of fresh spinach also from my produce delivery, so I decided to make a skillet potato dish inspired by a favorite Indian recipe Saag Aloo. I was going to make oven roasted sweet potatoes but those take an hour to cook, it was getting late, and we were getting hungry. Saag Aloo is delicious but it is often made with cream or coconut milk. I decided to make a slightly healthier version and let the veggies in the dish stand on their own. I had never tried it before with sweet potatoes (I’ve always used red potatoes) so it was kind of a gamble. I diced up a few sweet potatoes and cooked them with just a little olive oil. Add the spinach, continue to cook, and finally finish with some amazing Indian spices. I used Curry Powder, Coriander, and Cumin… it smells AMAZING. Plated up and ready to eat!